A significant loss may cause your entire organization to question their process and become more open to change. Strike while the iron is hot. When the time is right, use the following five steps to compile your case before meeting with decision makers to guarantee executive and team buy-in to your new graphics process. Step 1: Identify the Problem Explain the problem (remain positive and avoid finger pointing). Back up your opinions with facts. Offer empirical evidence to support your assessment. Connect the dots. 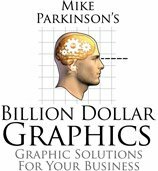 For example, prove that it takes approximately six hours to create a graphic of average complexity—from concept to drawing to rendering. It then becomes obvious that leaving two hours to concept and render a graphic will lead to mistakes and an unprofessional final version. If possible, present a graphic designed with too little time for rendering and one graphic that was given the proper time. You can also share the client's relevant negative comments regarding designs that were obviously rushed. Step 3: Link to Benefits Link your solution to organizational benefits. Show how everyone will benefit. Make it clear. Never assume the benefit is obvious. Always put the most valuable benefit first. Do not build up to it. 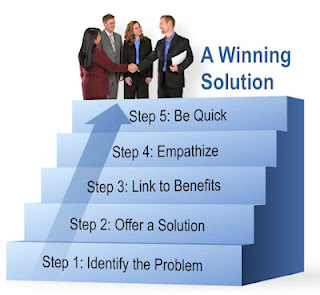 Step 4: Empathize Empathize with your audience. Does your solution mean more work for them? Why would they be reluctant to embrace it? Anticipate and answer their objections early. Step 5: Be Quick Keep it brief. Get to the point and ask for questions. The questions will help you determine your audience’s opinion of your solution. Ultimately, their feedback will help you put your solution in place. The more you listen to what they have to say, the better. It shows you have their best interests in mind. This “win-win” approach will present your recommendations for change in a way that makes it easy for others to see that you have everyone’s best interest in mind.